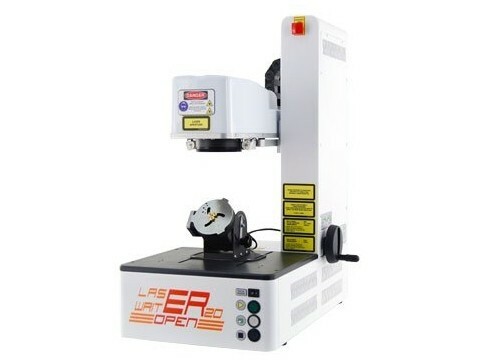 Laser-In offers a new laser-Marker with a “Fiber laser-source” at 20 Watts. 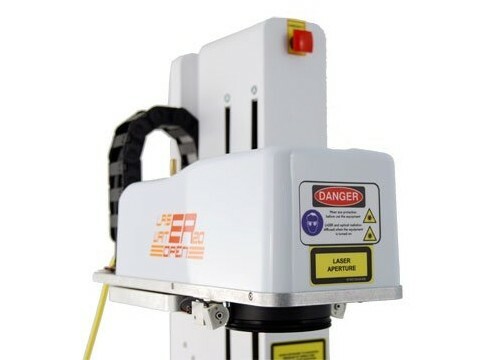 The “Open” structure, designed to ensure operators an easy access to the marking area, thus allowing an easiest manipulation of pieces, makes this laser-marker the perfect tool for those requiring a small machine with great versatility. 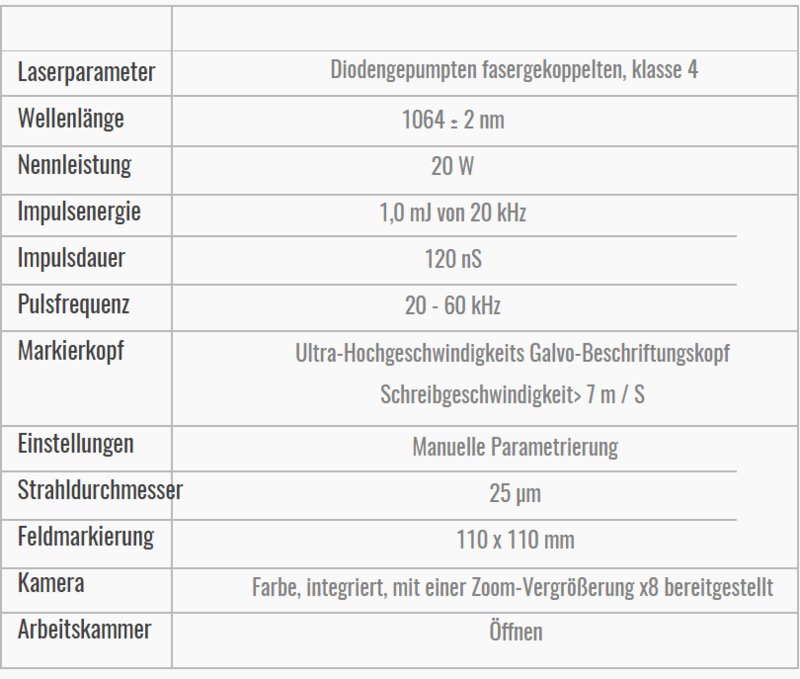 The technical features of this laser-marker allow operators to work with large loads of pieces and improve significantly the speed of working procedures. 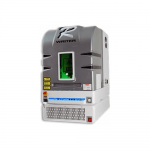 The laser-marker Open is ideal for marking texts, designs, graphic patterns and photo engravings as well, thanks to the transmission of the laser-beam through the fiber, and to the accurate focusing on the targeted object. 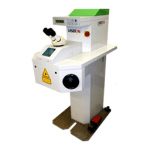 A Beam Mode with a M2 factor lower than 1.8 is provided, allowing laser-markings to be performed with margins extremely accurate in definition, and laser-cuttings very precise up to a thickness of 0.8mm. 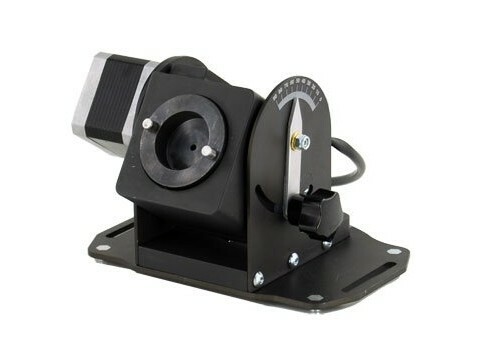 This laser-marker could also be fitted with a rotary axis device, to facilitate laser-marking of curved surfaces, such as the inside or outside of rings or bracelets. The laser RR-Writer « open » meets the highest standards of quality imposed by the most renowned producers of high-end jewelry. It is perfect for marking all types of precious and semi-precious metals, steel, titanium as well as many other materials, metallic and non. Eye protection from laser-rays is necessary to guarantee total safety of operators during laser-marking or slight cutting processes, who must always wear protection eye-glasses at work with opens. Additionally, a standard provided metal-made protection screen or shielding cover keeps the laser-beam inside the laser-marking area, preventing its diffusion around and so preserving operator’s health as well.